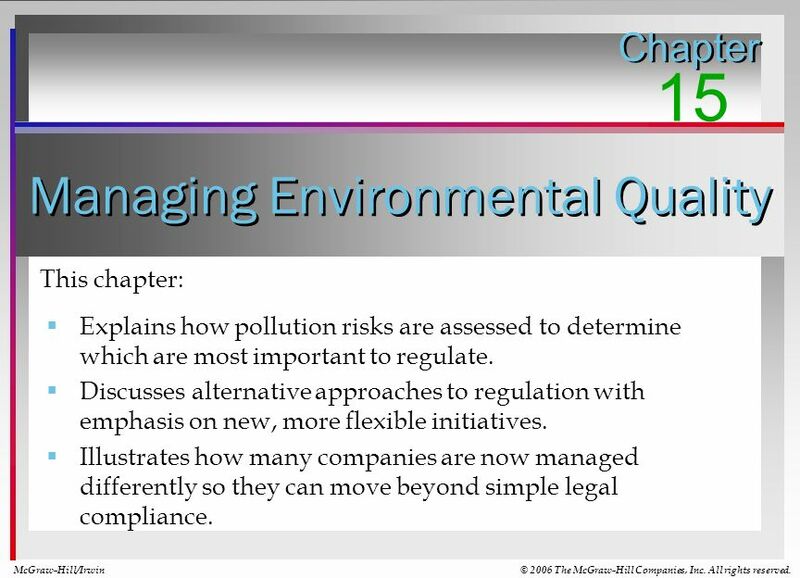 Managing Environmental Quality Chapter 15 McGraw-Hill/Irwin© 2006 The McGraw-Hill Companies, Inc. All rights reserved. 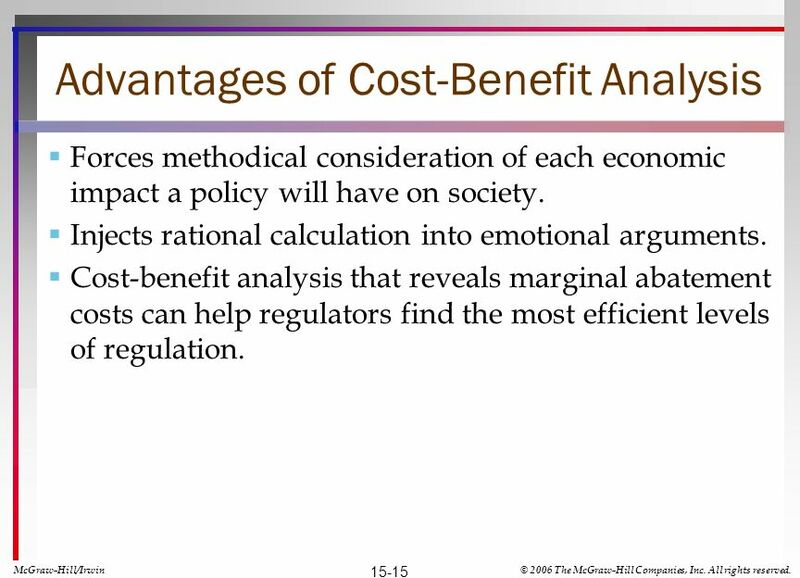 This chapter: Explains how pollution. 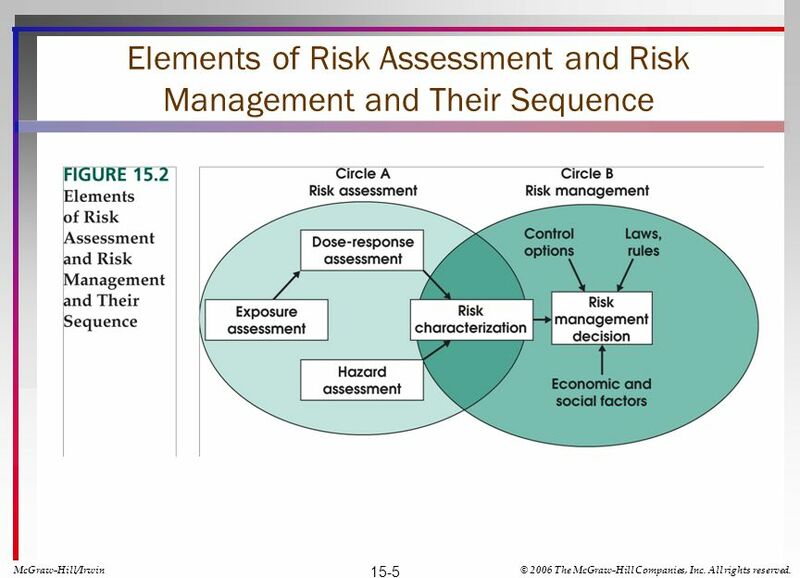 2 Managing Environmental Quality Chapter 15 McGraw-Hill/Irwin© 2006 The McGraw-Hill Companies, Inc. All rights reserved. 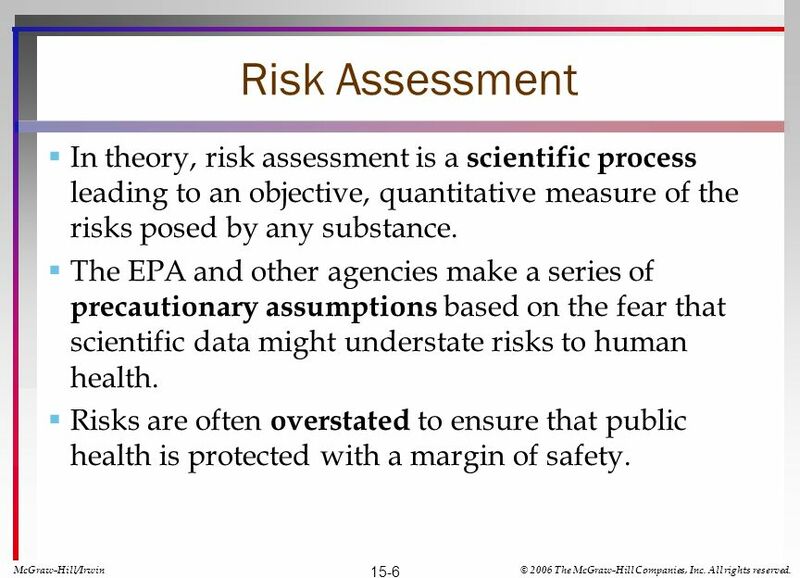 This chapter: Explains how pollution risks are assessed to determine which are most important to regulate. 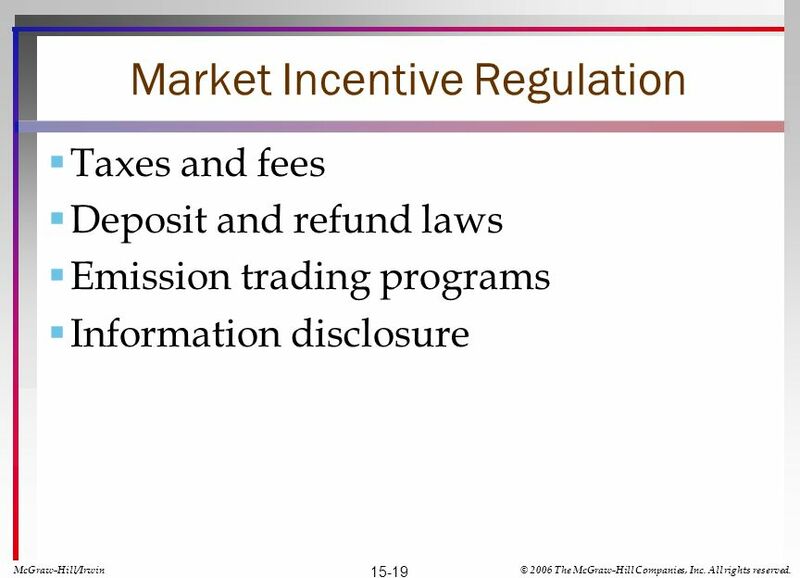 Discusses alternative approaches to regulation with emphasis on new, more flexible initiatives. 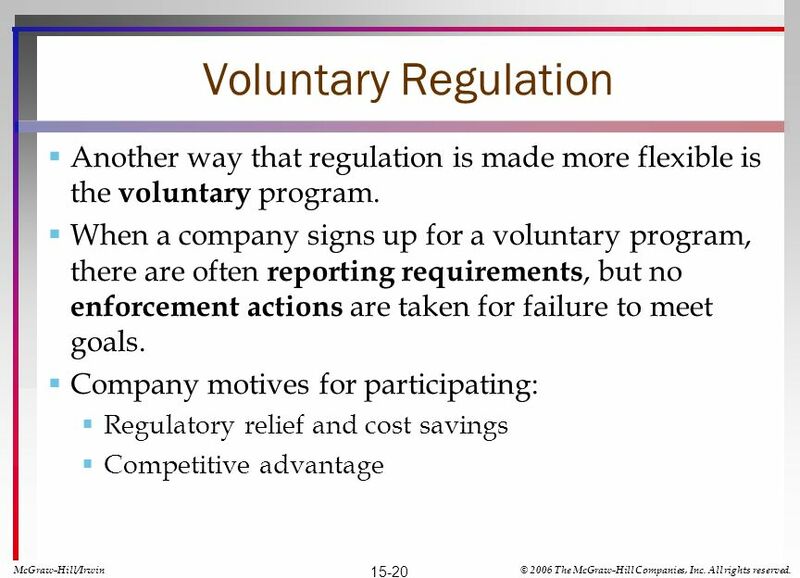 Illustrates how many companies are now managed differently so they can move beyond simple legal compliance. 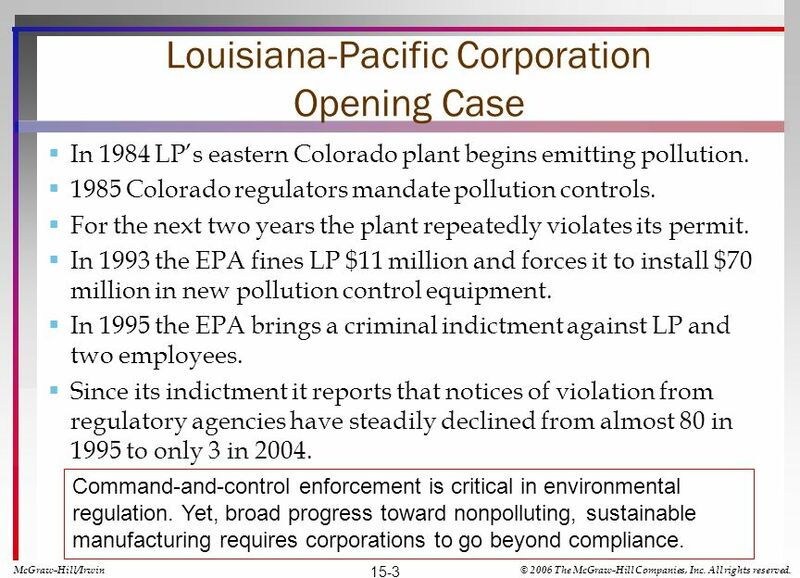 3 Louisiana-Pacific Corporation Opening Case In 1984 LPs eastern Colorado plant begins emitting pollution. 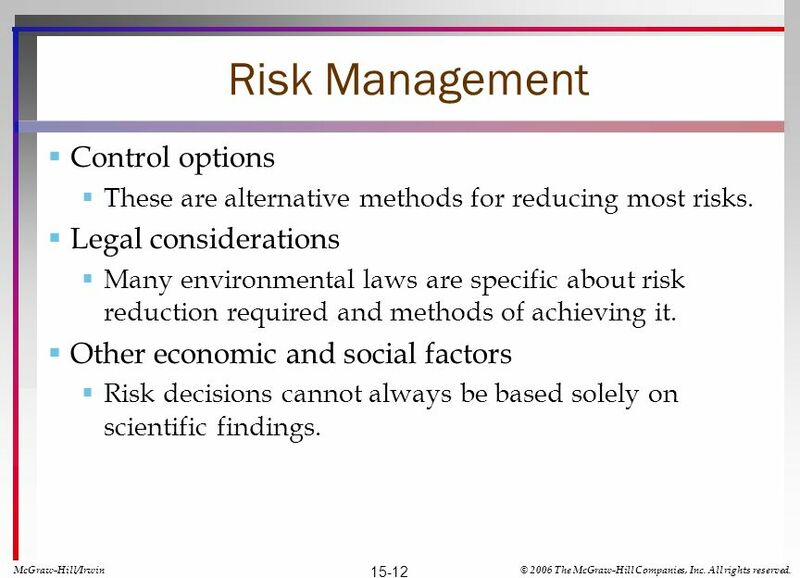 1985 Colorado regulators mandate pollution controls. 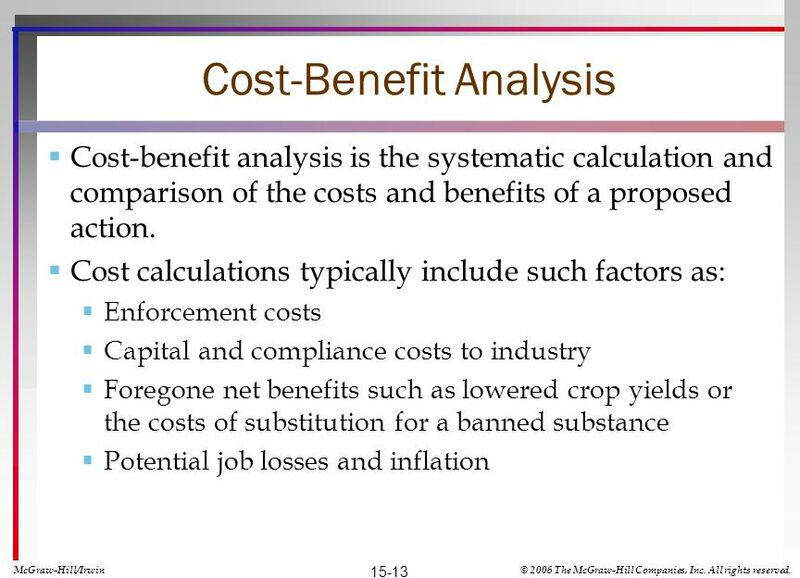 For the next two years the plant repeatedly violates its permit. 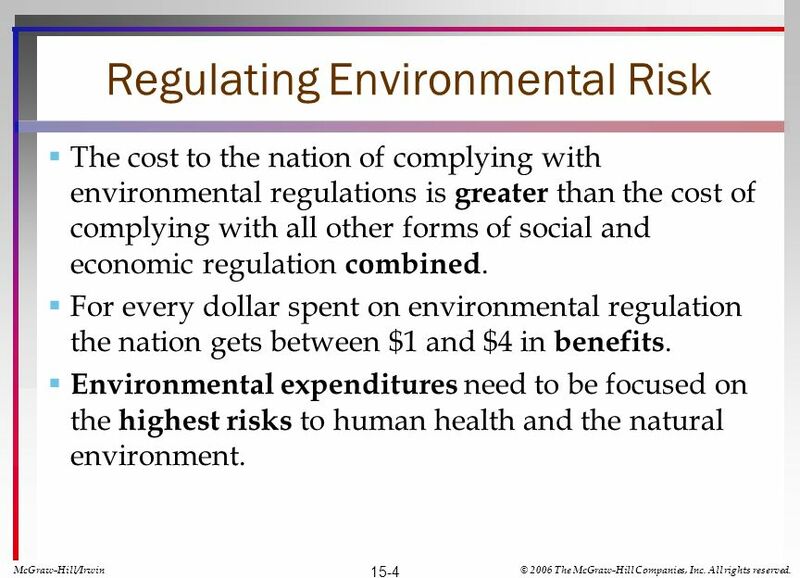 In 1993 the EPA fines LP $11 million and forces it to install $70 million in new pollution control equipment. 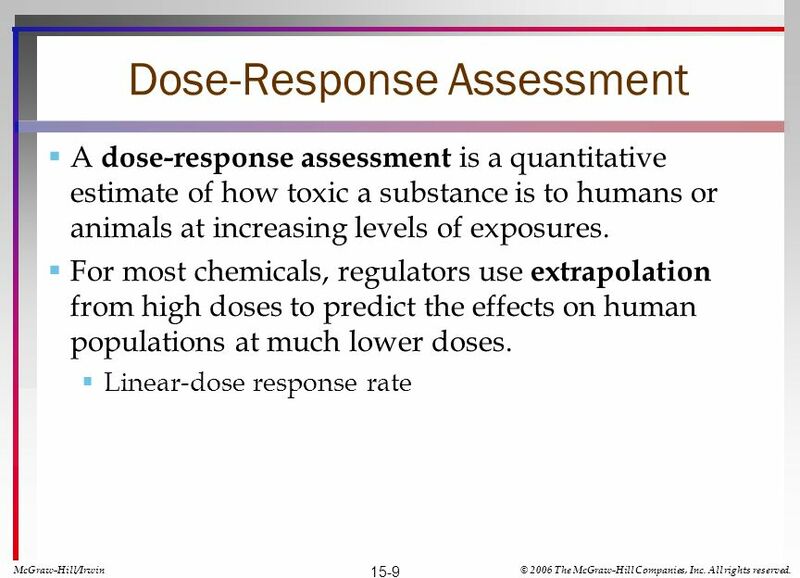 In 1995 the EPA brings a criminal indictment against LP and two employees. 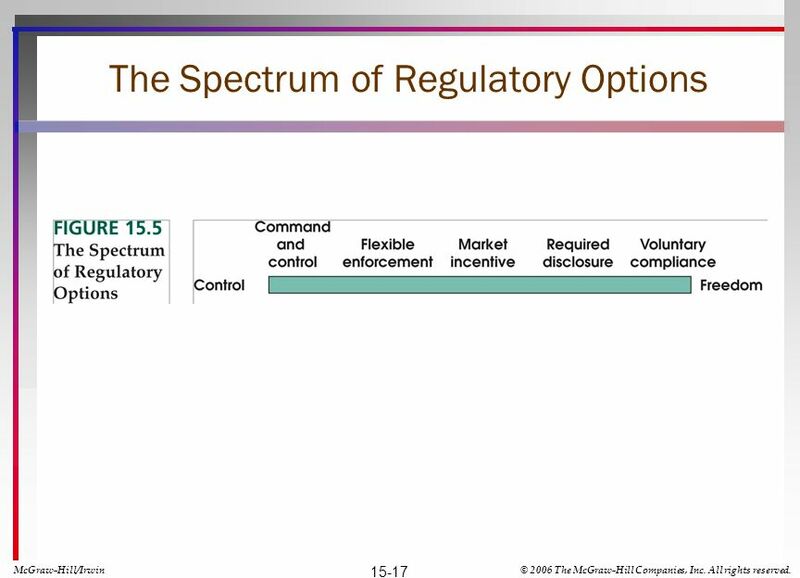 Since its indictment it reports that notices of violation from regulatory agencies have steadily declined from almost 80 in 1995 to only 3 in 2004. 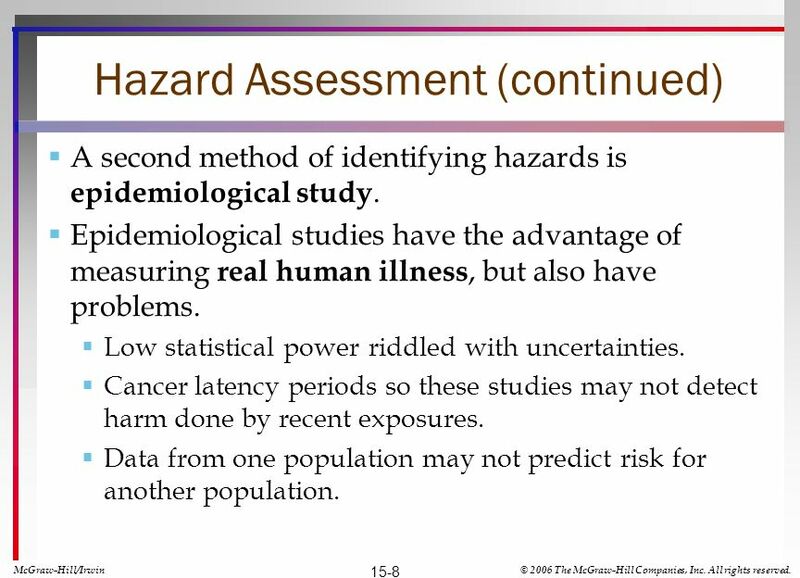 McGraw-Hill/Irwin© 2006 The McGraw-Hill Companies, Inc. All rights reserved. 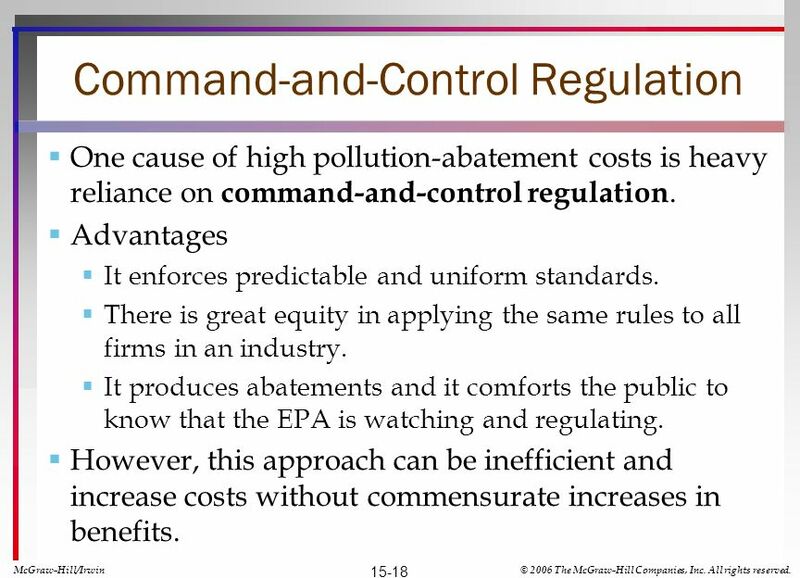 15-3 Command-and-control enforcement is critical in environmental regulation. 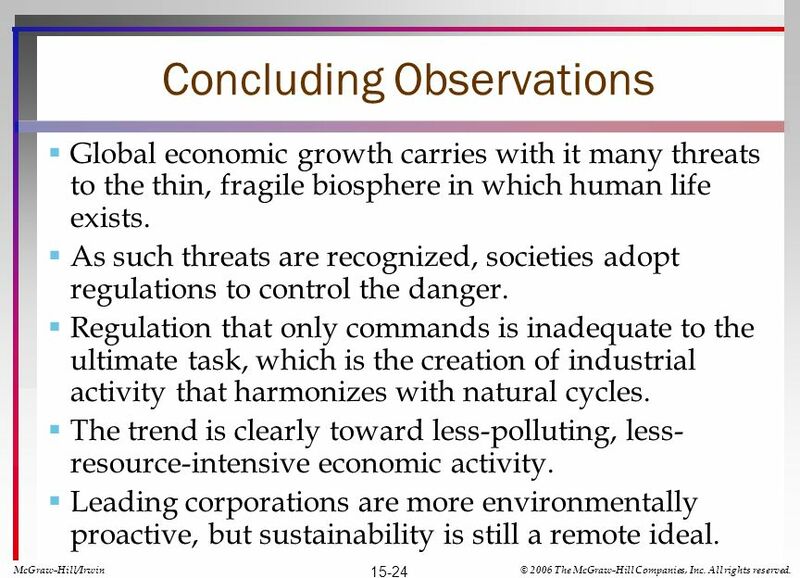 Yet, broad progress toward nonpolluting, sustainable manufacturing requires corporations to go beyond compliance. 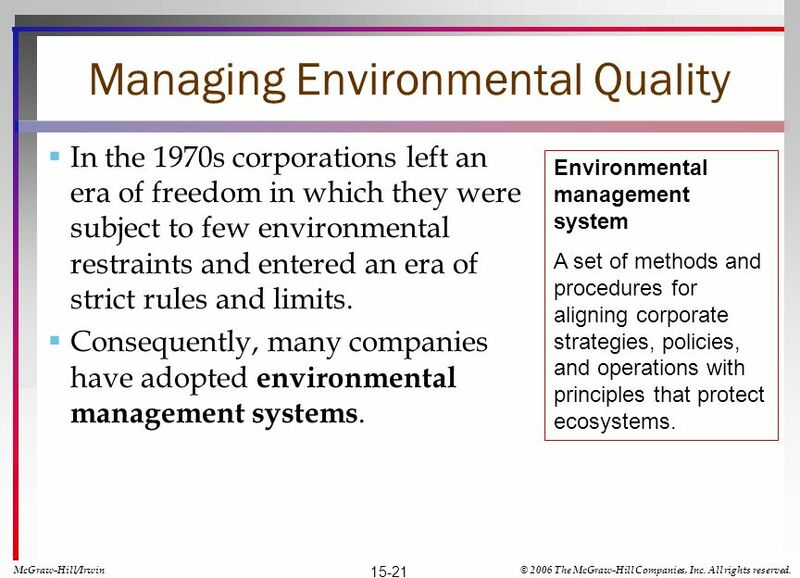 21 Managing Environmental Quality In the 1970s corporations left an era of freedom in which they were subject to few environmental restraints and entered an era of strict rules and limits. 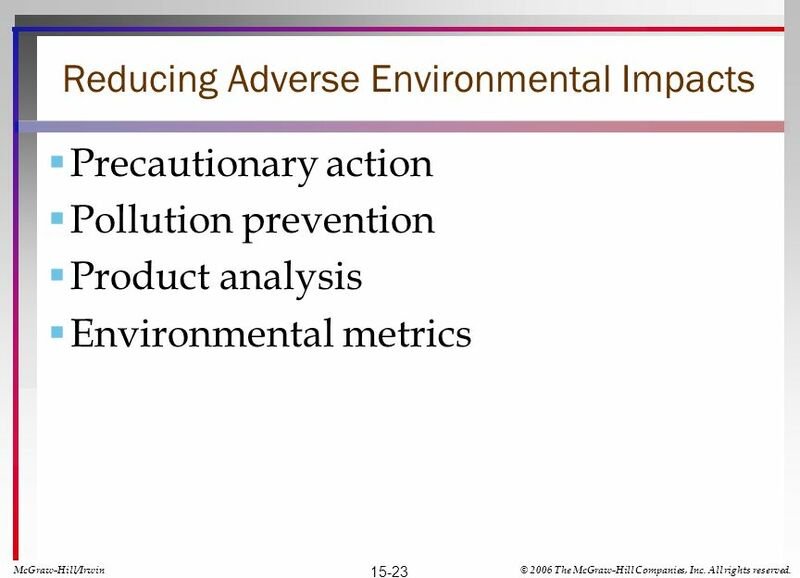 Consequently, many companies have adopted environmental management systems. 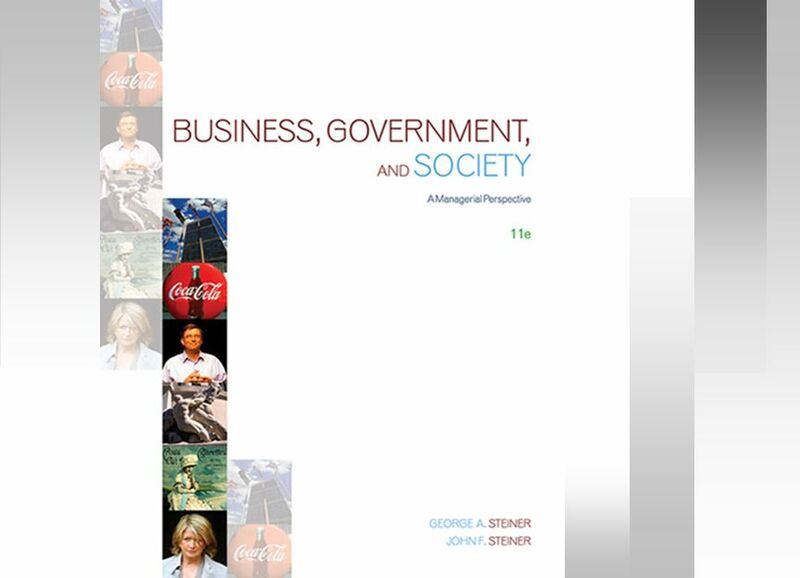 McGraw-Hill/Irwin© 2006 The McGraw-Hill Companies, Inc. All rights reserved. 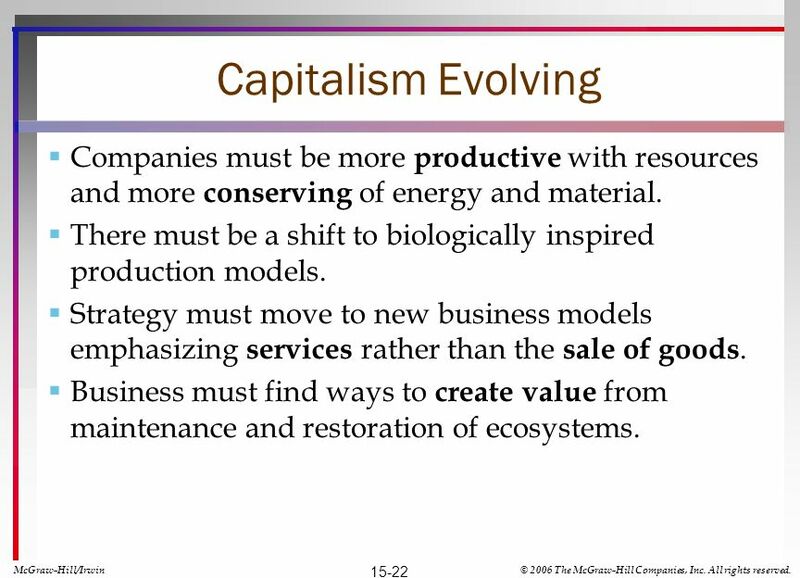 15-21 Environmental management system A set of methods and procedures for aligning corporate strategies, policies, and operations with principles that protect ecosystems. 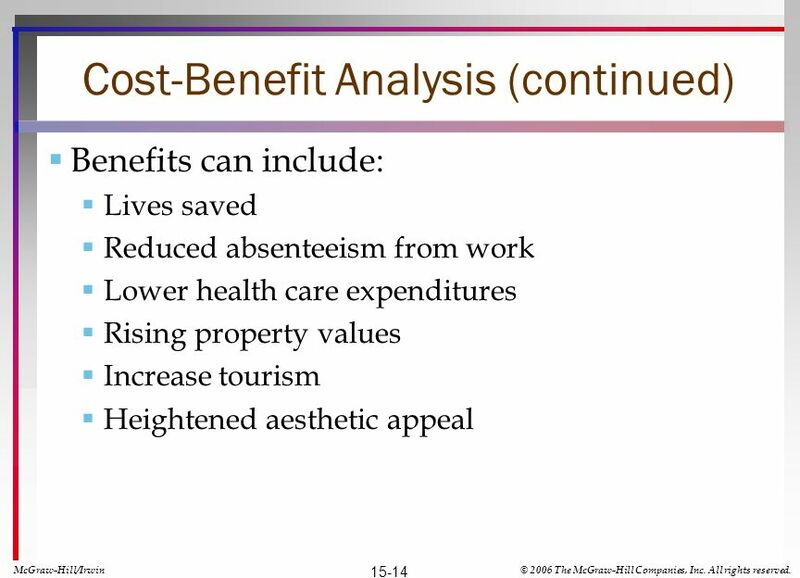 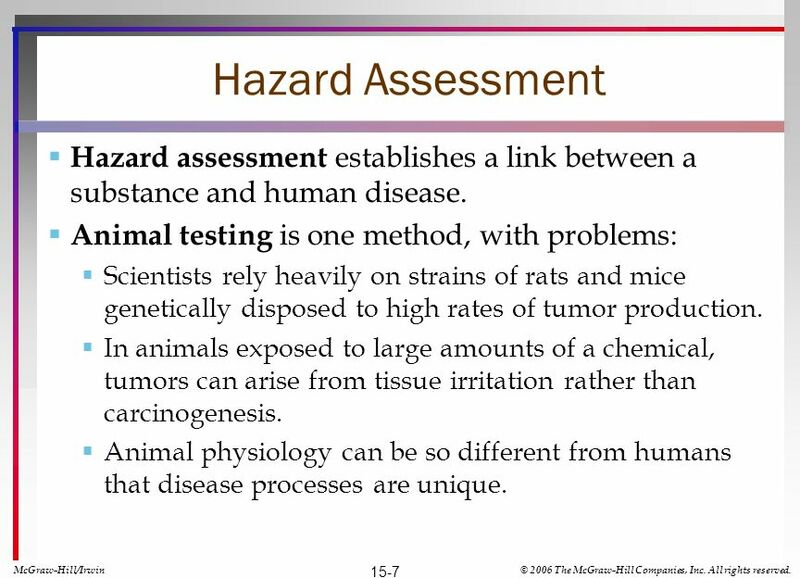 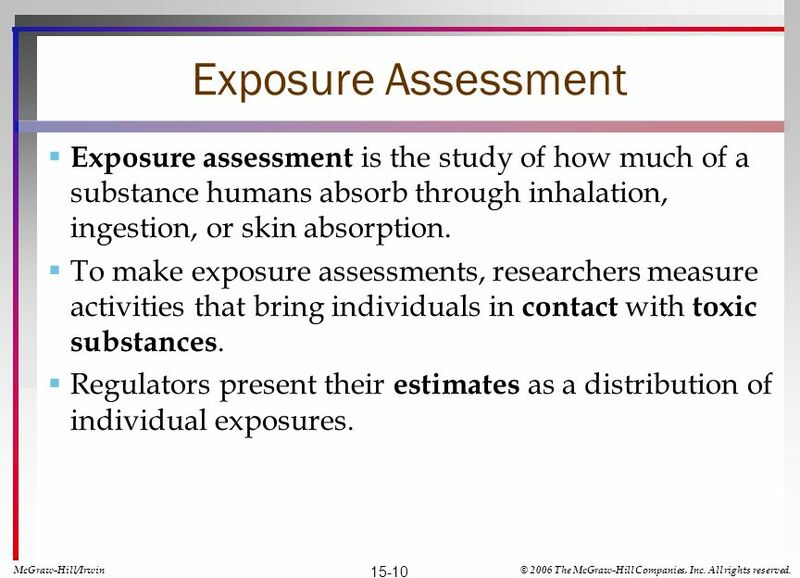 Download ppt "Managing Environmental Quality Chapter 15 McGraw-Hill/Irwin© 2006 The McGraw-Hill Companies, Inc. All rights reserved. 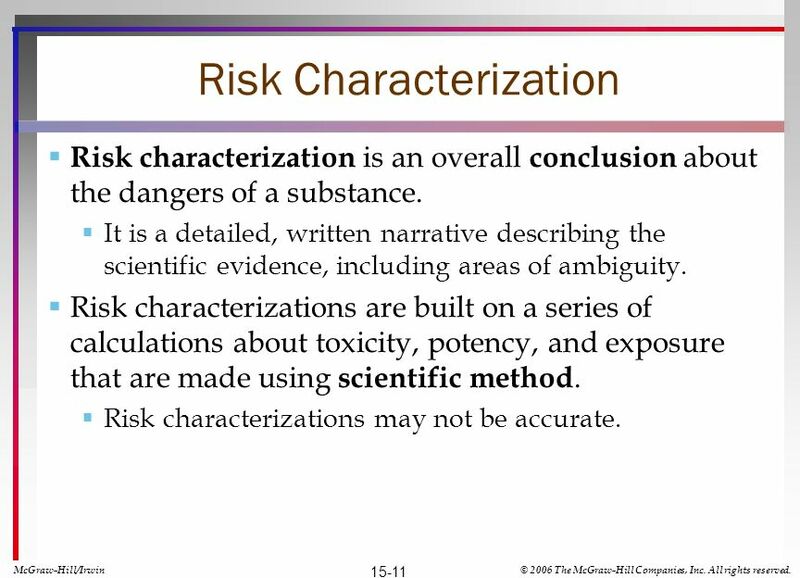 This chapter: Explains how pollution." 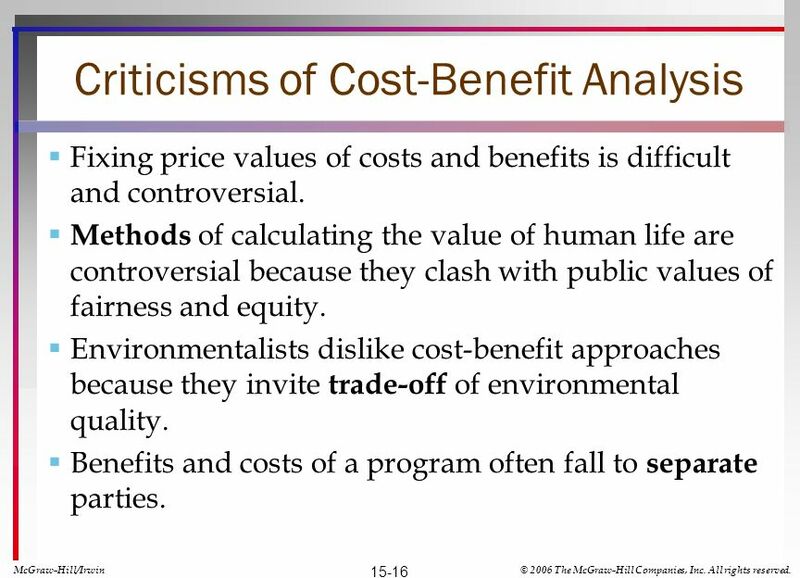 Copyright 2006 McGraw-Hill Australia Pty Ltd PPTs t/a Management Accounting: Information for managing and creating value 4e Slides prepared by Kim Langfield-Smith.